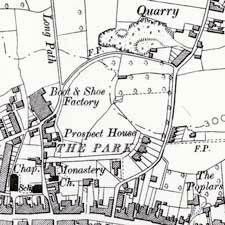 When you place your order we will prepare your mapping data and email you two proofs for you to check. The first proof is a scaled down version of the whole wallpaper map so that you can check the overall map. 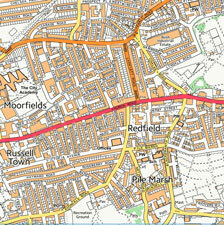 The second proof is a section of your wallpaper map at 100% of the wall size so that you can inspect the detail. Once you approve the proofs your order will be printed and despatched. Please allow 5 to 10 working days for preparing proofs and printing. Please note that amendments to proofs may be chargeable. 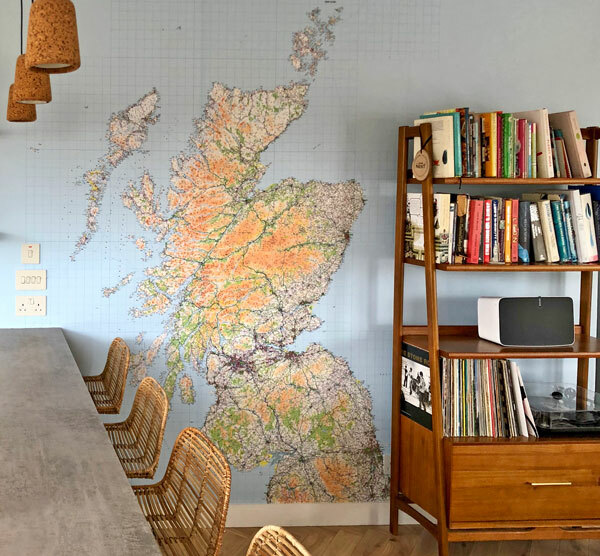 Make an eye catching feature of any wall at home or in the office with a stunning Ordnance Survey Great Britain Wallpaper Map, custom printed to your exact wall dimensions. 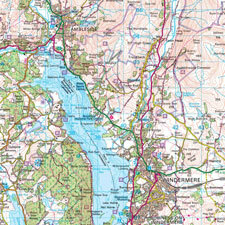 The OS Great Britain MiniScale 1:1 Million map clearly shows the broad landscape features relevant to its scale, including all major boundaries, communication lines, settlements and physical features. 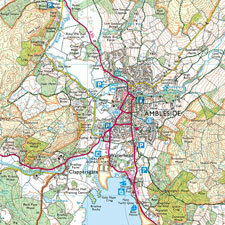 Note that the Ordnance Survey only provides mapping data of Great Britain, (this excludes Northern Ireland). Final map print is enlarged and not to original mapping scale. 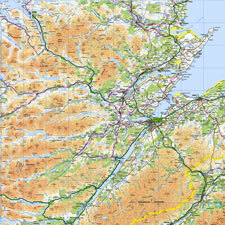 The Google map data shown in the map selection tool above is for reference only, your wallpaper map will be printed using OS Great Britain 1:1 Million map data. 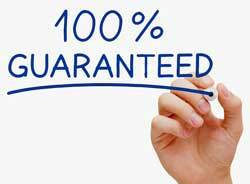 When you place your order we will prepare and email you two proofs for you to check. The first proof is a scaled down version of the whole layout so that you can check the overall area. The second proof is a section of your map set at 100% of the desired final print size so that you can inspect the detail. Once you approve the proofs your order will be printed and despatched. Please allow 5 to 10 working days for preparing proofs and printing. We are certain that you will be completely delighted with your wallpaper mural. If you are not satisfied with your wallpaper order we offer you the Right To Return it within 7 days of receipt and we will refund you the full purchase price. Please contact us should you have any questions or experience any problems and we will do our utmost to resolve any problem to your satisfaction. Standard Smooth - The PVC-Free Wallpaper with an ultra-smooth finish. This prepasted 165gsm wallcovering has an approved fire certificate. 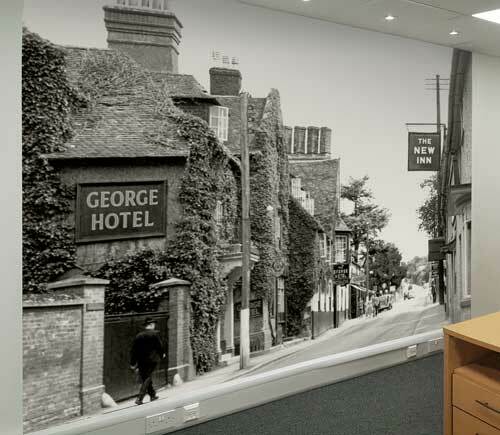 It meets commercial wallcovering standards and has an indoor display permanence of up to 20 years. Mould and mildew resistant. 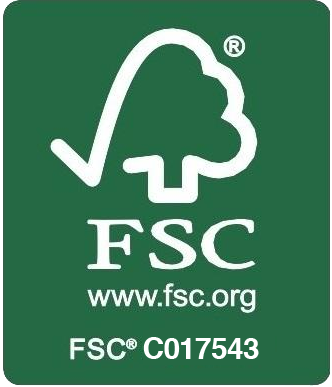 Printed with HP Latex Inks, the wallpaper prints produced are odourless and are GREENGUARD Gold Certified for low-emitting products. The Francis Frith Collection is a unique, world-class photo archive of over 300,000 historical photos of almost every city, town and village in Great Britain from 1860 to 1970. 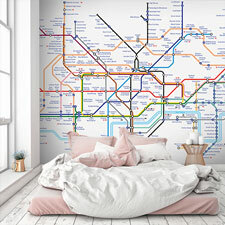 Choose a photo from your local area to create your own unique wallpaper mural. "This professional was rated at the highest level for client satisfaction by the Houzz community".